It seems that my site, and many others like it, were affected by something having to do with hosting or images. I'm not exactly sure. Even when the person who worked on my site tells me what's happening, I'm not sure he's speaking English. In any case, life has moved on and so have I. I am looking to taking on more ceremonies as time permits. Please contact me with your needs. Well I've been away for quite a while. Life has its ups and downs. Apparently, my life is quite the roller coaster. I am, however, tired of the motion sickness so I need to do what I need to do in order to keep things running more smoothly. And one of those things is adhering to my diet and exercise plan. No more cheating! So while I'm getting back on the healthy wagon, I want to talk briefly about what's happening in the world. Since the events that happened in France on Friday (which happened to be my father's birthday) I have been appalled at what I've seen on Facebook. Some of those comments got me pretty heated. And I was very close to replying to some, just looking for a fight. But then I stopped. I realized that I do not need to go on someone else's fb page and start a fight with them for what they've said in a moment of anger. I do not need to bring more emotion to the table. What I need to do, is help people. I am a helper by nature. So I will offer this: If you need to rant, do it. If you need to scream, do it. If you need to talk, do it. Call me. I can teach you techniques to help relieve stress and make you feel a whole lot better. I can help you make some sense of your emotions. But I cannot help you make sense of senseless killing. I cannot find any sense in killing anything. OK I lied. I'm not posting nearly as much as I'd like to. I'm not going to psychoanalyze myself. But I will say that all of us need to do more to make ourselves happy. Alright then. I haven't posted in ages. I'm not exactly sure why so I won't look to make excuses. However, I'm hoping I can post more often from now on. I can say I'm very happy that I'm making new contacts and meeting new couples. This has to be the greatest job in the world. Well time is flying! Lots to do and of course, never enough time to do it. I did, however, find the time to add a new package. If you check the ceremonies page, I added a new package called "I Do". Please take a peek. Wow isn't life funny? So much has been going on that its hard to get online and share it all. There are many positive things happening and I'm so happy to be able to share them with all of you. 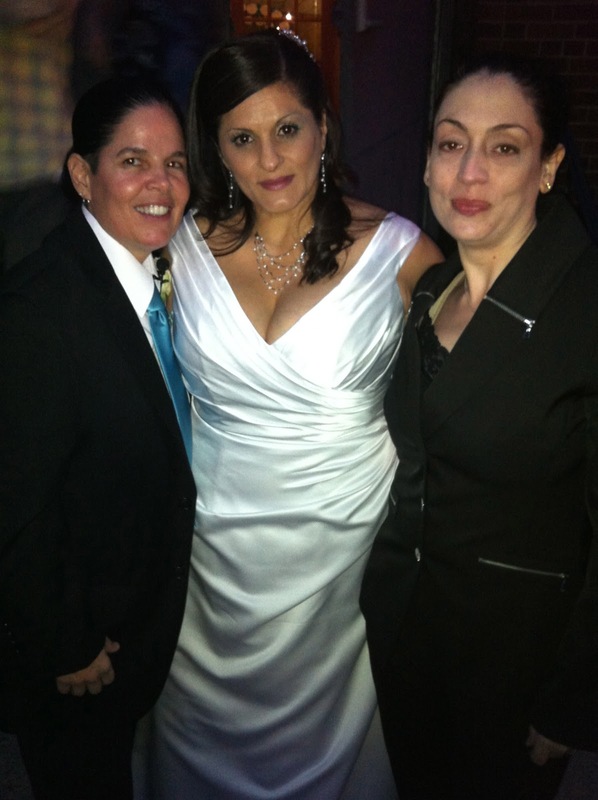 Staten Island, NY – July 18, 2012 – WeddingWire is excited to announce that Reverend Randi Peck is WeddingWire Rated in 2012 for Officiant. WeddingWire Rated is the annual ratings program that recognizes wedding professionals across the country for their commitment to service and is the most recognized and trusted brand among engaged couples, as they start their search for local wedding businesses. The ratings program is based on hundreds of thousands of recent newlywed reviews of over 200,000 wedding professionals in the US and Canada, across 20 different service categories. Reverend Randi Peck has 6 reviews on WeddingWire. Reviews by our newlywed clients include detailed ratings and insightful descriptions about their experiences working with our business and staff. Our reviews provide transparency for potential clients, assisting them in making informed decisions for their big day. As the largest site for wedding reviews, WeddingWire empowers engaged couples with the most comprehensive and trusted review system available in the wedding industry. WeddingWire Rated provides Reverend Randi Peck with the distinction of being WeddingWire Rated and a simple platform to capture client feedback from their wedding planning experience. Engaged couples can easily access all of the reviews for Reverend Randi Peck on WeddingWire.com. We have all of our newlywed clients to thank for our WeddingWire Rated 2012 recognition. For more information, please visit Reverend Randi Peck on WeddingWire at www.weddingwire.com/vendor/VendorViewStoreFront%3fvid%3d0009d1c124e9510f. For more information on WeddingWire Rated 2012, please visit www.WeddingWire.com. Last night I witnessed a beautiful couple as they married. Marilyn and Yolanda, many many years of health and happiness to you both.